Dropbox could save my life and it could save yours. It is 13 days to my first final exam of my college degree at the time of writing. Being the tech person that I am, I take all my college notes on my laptop. As well as this I am in the final stages of my final year dissertation. Tomorrow my laptop’s hard drive could fail. It could just clunk and become a corrupted mess of nothingness. It would be a shock and a horror, but thanks to Dropbox, my college career would not be jepordised in the slightest because I use Dropbox. 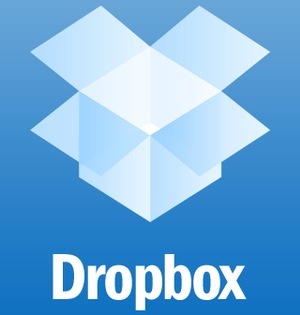 Dropbox is online storage and backup with a difference. I have a folder on my computer named “Dropbox” which syncs everything in it with an online backup. All my college work has always been stored on this folder since I was introduced to the website and it really gives me peace of mind to know that my important work is safe and sound. We all know someone who has had a hard drive or computer fail on them, so there’s plenty or warning to back up your especially important files at least. External hard drives are all well and good but I adore Dropbox for the simplicity and reliability it offers – easy as dragging and dropping. The Awesome Geek always backs up, and should definitely check out Dropbox if they are serious about their data being safe. Basic Dropbox is free with 2G of storage with the option to upgrade to 50G and 100G at $9.99 and $19.99 respectively. This entry was posted in Technology, Website and tagged Back-up, Dropbox, File Syncing, Storage by Jonathan Day. Bookmark the permalink.